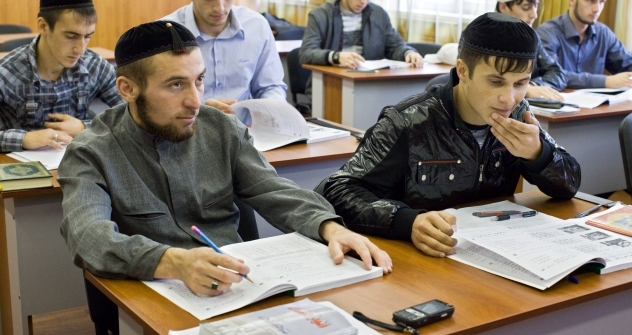 A new federal university opens up in the North Caucasus. Russia keeps promoting its federal universities project, although the universities established all over the country in the last five years have not shown any major results. A new federal university will be unveiled in Russia’s North Caucasus region this year: the North Caucasus Federal University (NCFU). It will merge the educational and research potential of the three biggest universities in the Stavropol Region - the North Caucasus State Technical University, Stavropol State University and Pyatigorsk State Technological University. Deputy Prime Minister Alexander Khloponin said prevously that the university will aim to produce much-needed specialists in the North Caucasus. "These will include tourism specialists, who are needed badly at the Caucasian Mineral Waters resorts. In addition, the region is short on secular Islam specialists. The University will also train specialists in economics to be employed in implementing the Strategy for Promotion of the North Caucasus Federal District", Khloponin said in an interview with Rossiyskaya Gazeta. Stavropol Region Governor Valery Zerenkov has a different vision of the region's future: "The region is trying to introduce new technologies and develop new manufacturing; we require engineers, but universities keep training armies of lawyers, economists and psychologists." This September will see the first round of NCFU admissions. The University will train more than 37,000 students and have in excess of 2,500 professors and lecturers. NCFU is expected to build up an administrative vertical during the next two years. Vladikavkaz-born Anna Levitskaya, a PhD in linguistics, has been appointed Rector of the North Caucasus Federal University. Previously she worked as North Ossetia's education minister and has headed the education and socialization department at the Russia’s Ministry of Education and Science for the last two years. "First of all, the University is expected to become the research, education and innovation core of the entire North Caucasus", Levitskaya said. "Second, it will exercise vital influence on the geopolitical situation in the country through the employment of educational, research and training tools. Third, the development potential of the University will alleviate interethnic and interfaith tension, prevent the Russian-speaking population from leaving the area and facilitate employment of our graduates, who will be in demand in the North Caucasus, elsewhere in Russia and abroad." The North Caucasus Federal University will be developed in two stages. The first stage, between 2012 and 2016, will require 7 billion rubles ($217 million), most of which will be invested in new buildings; starting from 2016, the University will have to make money on its own, by building working relations with various companies, executing contracts for high-technology developments and selling its innovative ideas and inventions. "In five years' time, we will have to start financing our activities independently – develop and make money using the University's huge potential", Levitskaya said. The government is investing generously in stabilizing the situation in the North Caucasus and is ready to support the Federal District through 2025. The projects launched so far have failed to bear the fruit of success anticipated by the government. According to the General Prosecutor's Office, the criminal situation in the country is getting worse, with the number of crimes has increasing 7 percent over the last year. Moreover, manifestations of ethnic and religious separatism still hamper the efficacy of federal expansion programs for the region. The North Caucasus Federal University and the Immanuel Kant Baltic Federal University in Kaliningrad are Russia's two most recent federal universities. Currently, there are nine altogether. The first were established in 2007 in the Southern and Siberian Federal Districts, based on the facilities of existing universities and academic centres in Rostov-on-Don and Krasnoyarsk, respectively. Five more universities followed: the Northern (Arctic) Federal University in Arkhangelsk, the Kazan Federal University (Privolzhye District), the Far Eastern Federal University in Vladivostok, the Boris Yeltsin Urals Federal University and the Maksim Ammosov North-Eastern Federal University in Yakutsk. All of these were created by merging the largest universities in those regions. The two pilot projects, in the Southern and Siberian Federal Districts, each received 6 billion rubles ($186 million) from the federal budget, along with serious support from local authorities and business. "In their first two years, the Siberian and Southern Federal Universities almost finished establishing their legal, economic and administrative frameworks, revised their academic and research programs and modernized their material, technical and media resources. These federal universities were set to the ambitious task of bringing Russian education up to world standards", Evgeny Butko, deputy head of the Federal Education Agency, said back in 2010. The two universities have completed their five-year development programs; however, there have been no public reports, presentations or professional discussions to mark this milestone. The Ministry of Education and Science was supposed to gather the results in concert with the government, which set the program targets in the first place. "We never managed to elaborate on the designation of the federal universities, identify their mission and status within the university system", said Evgeny Knyazev, Director of the University Management Centre at the Higher School of Economics, who was involved in formulating the concept of federal universities. "Formally speaking, we have never seen accreditation requirements applicable to such universities. We have none, as of today, but they are essential to our ability to check whether the universities meet the objectives set by the President and the government." Knyazev went on to say that the fundamental principles behind the establishment of federal universities have definitely changed. It had been the plan for these universities to address important, socio-economic development issues and to be involved in major regional projects. Yet none of these universities went beyond the regional framework and reached out to the entire district. "The North Caucasus University cannot be the same as the Siberian or the Far-Eastern Universities. It should be focused more on the humanities and be more of a network, if you know what I mean. The Caucasus has a difficult ethnic and religious situation and we cannot establish an institution that would simply copy the functions and methods of its peers. Its priority task should be work with this community", Knyazev said. "The NCFU reflects the multi-cultural, multi-faith and multi-language nature of our country like no other federal university", Levitskaya went on to say. "But this is a great responsibility – we must do our best to cross 'a person from the Caucasus' off the list of offensive terms and make it synonymous with high culture, civic consciousness and maturity."